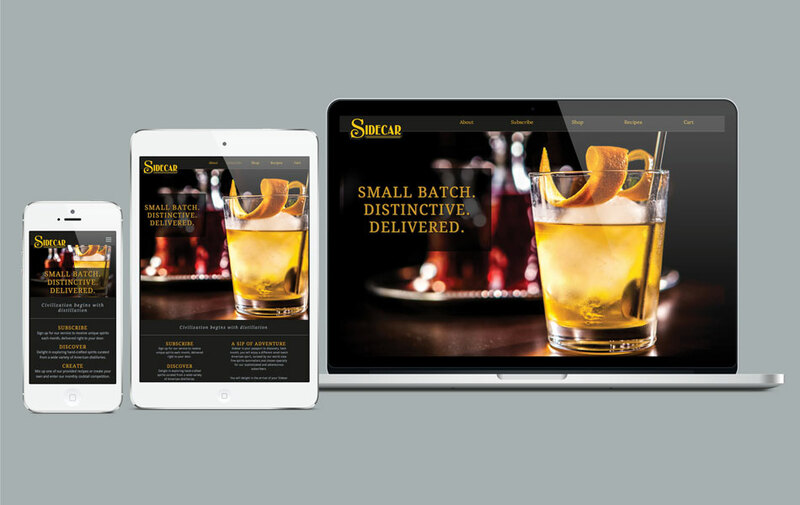 Phase one of the project involved research of both online and in-store retailers of distilled spirits, market demographics of the beverage alcohol industry and general research into subscription services. Additionally, a survey was performed to determine what elements consumers would like included with their subscription and how likely they would be to sign up for a distilled spirits subscription service. The research results can be viewed in the Sidecar Research Summary. Phase two of the project was to begin work on the visual design and branding. Creating an online responsive style tile was a logical step towards designing and developing the actual site, allowing typographic styles, form styles and general structural elements to easily transfer between the style tile and the subscription site. The overall look and feel was determined at this time; dark colors with gold accents create a feeling of luxury and sophistication.